Legislator pushed two bills to address invasive species and environmental issues in Delta. SACRAMENTO — Recreational Boaters of California (RBOC) named State Sen. Cathleen Galgiani, D-Stockton, its 2017 Boater of the Year, Feb. 21. She was recognized for her work on invasive species in the Sacramento-San Joaquin Delta. 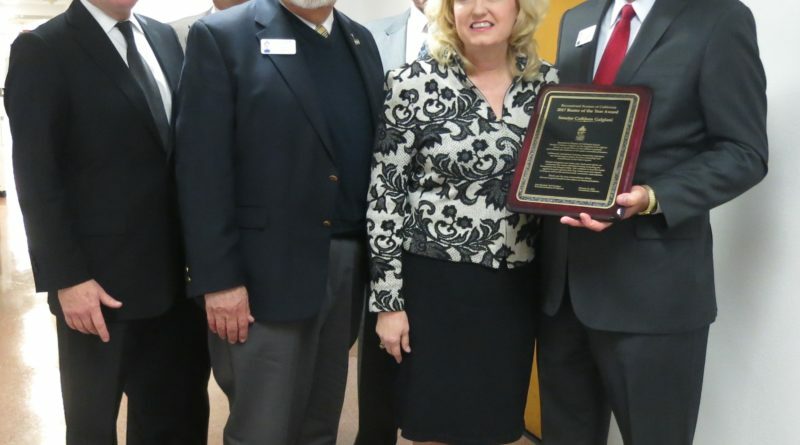 A team of RBOC members, including President John Marshall and Director of Government Relations Jerry Desmond, presented Galgiani with the honor. “She continues to lead the battle against invasive species that clog waterways and impair boating as well as the environment, commerce and tourism,” Galgiani said in a released statement. One of Galgiani’s proposals last year – Senate Bill 704 – required the Division of Boating and Waterways to collaborate with the California Conservation Corps to implement invasive aquatic plants control programs; SB 704 was signed into law by Brown late last year.